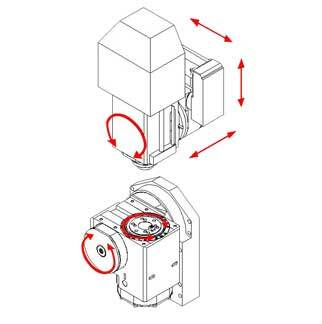 The mobile column structure lends the machine to a reduced floor space need as well as an optimal accessibility, while the vertical table ensures an excellent chips evacuation. 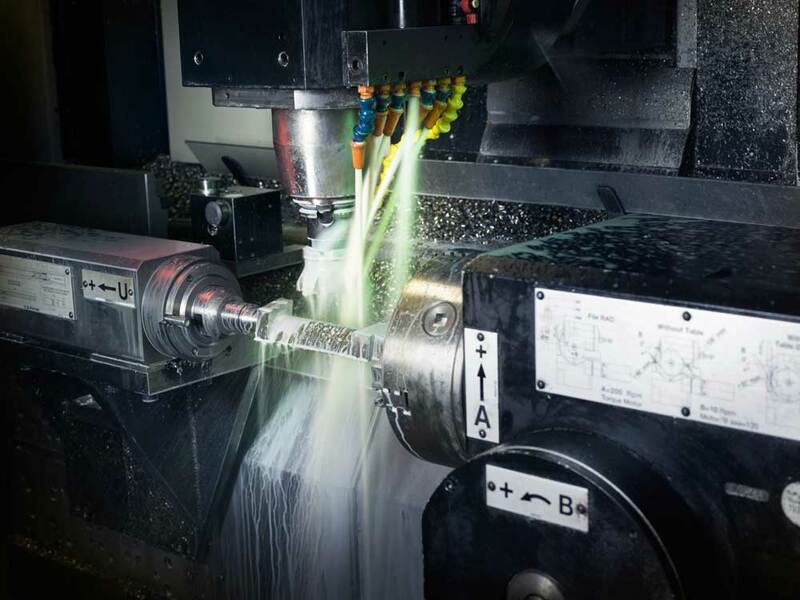 The machine manufacturing process, coupled with the stress relieving treatment, provides the machine accuracy, stability and longevity. 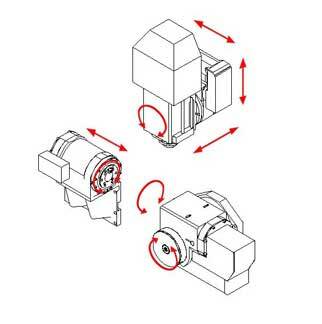 The direct drive dividing heads achieve relevant dynamic performances, maximizing machining efficiency, especially on airfoils leading and trailing edges. 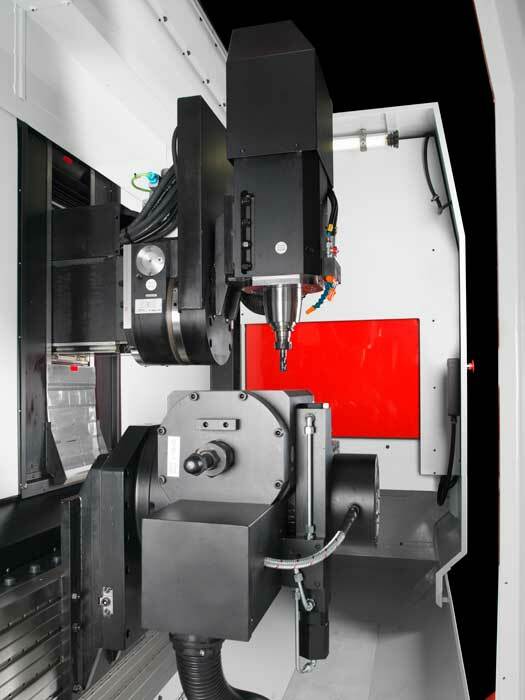 The adjustable center distance and the 6th axis configuration make this machine one of the most flexible of the market. The A Series is suitable for the application of automatic pallet changers, which can access the working area from the right side or from the top of the machine, without affecting the operator process monitoring capability. 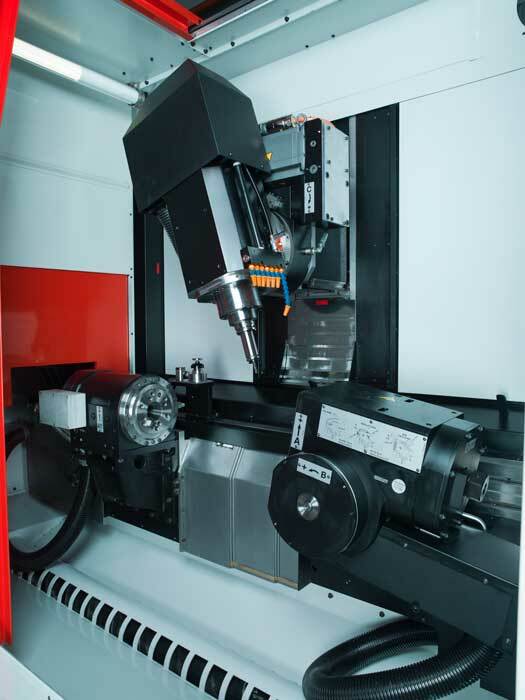 The A Series includes a full range of vertical high-speed mobile column machining centers, having three linear axes moving the tool, particularly suitable for precision machining of turbine blades and very complex parts for the aerospace and precision components industries. The range includes 4 models, A152/56, A176, A196, all with vertical table, whose main difference is related to the X Axis travel length. 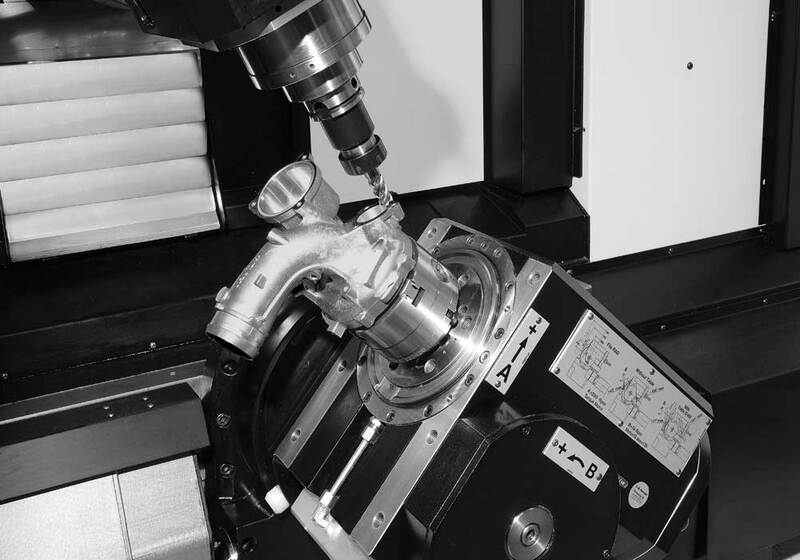 All the A Series machines can be equipped with a tilting head and a wide range of single or double axis dividing heads, in single or gantry configuration with adjustable center distance, which makes this machine the undisputed market leader for flexibility in its class. 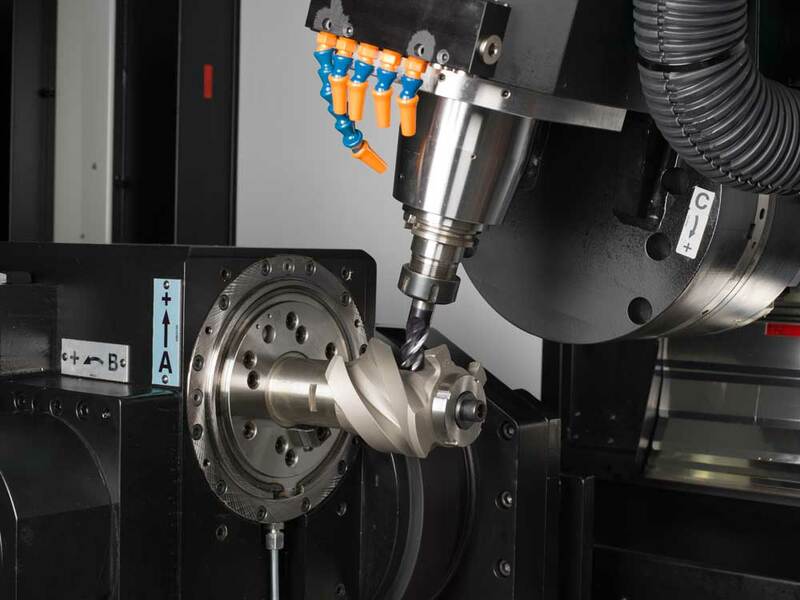 The turbine blade machining configuration present a tilting head and two synchronized direct drive dividing heads, powered by state of the art torque motors, which directly support the part to be machined. 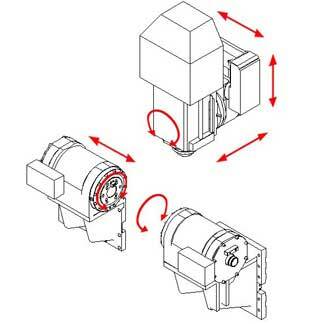 The sixth optional axis offers the possibility to drill the center hole directly in the machine. The distance between the two dividing heads is adjustable and allows the machining of a broad spectrum gas, steam and aircraft turbine blades. 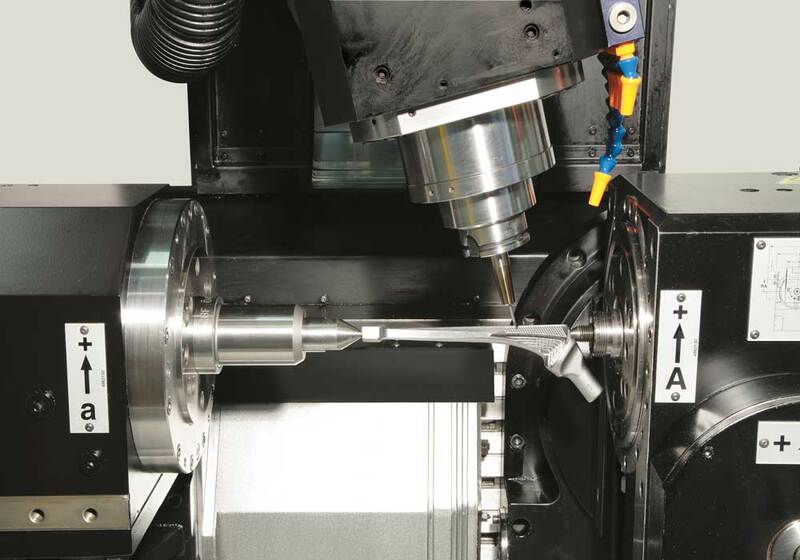 For all configurations, a wide range of electrospindles is available to meet the demands of the most advanced machining technologies in terms of RPM, torque and power.